The 1. 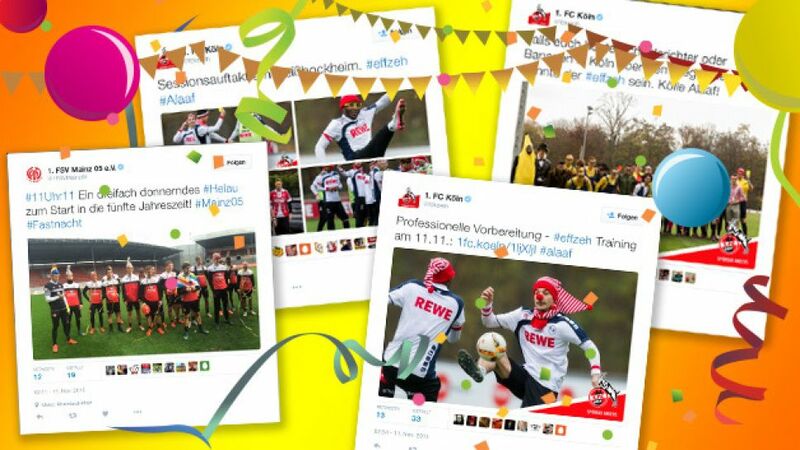 FC Köln stars took to social media to celebrate carnival this week. At 11:11 on the 11th day of the 11th month of the year, the Carnival period officially began in Germany. Known locally as "the fifth season", it is celebrated particularly enthusiastically in Cologne, where the city's football club 1. FC Köln are always glad to join in the festivities. And as 1. FSV Mainz 05 also take part in the local customs a little further down the River Rhine, bundesliga.com takes a look at how the Bundesliga clubs are getting into the swing of things.